Application Process, Costs, Dates and Timings. Regular attendance to a yoga class for at least 2 years. Saturday February 4th 2017 Taster morning – to find out about the course and to begin application process. Interviews: Saturday March 4th /April 29th 2017. 2. Complete application form, ( Please follow link to Download ) and send to address below. 4. A deposit is required to secure your place, see fee information below. * A reference from someone who has know you for past 5 years who can give a brief character reference . 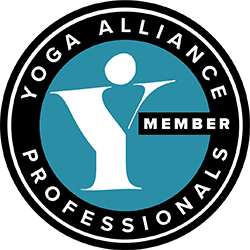 • Yoga alliance professionals YAP accredited teacher training certificate. Fees must be paid in full and any private sessions paid for before a graduation certificate will be issued. • Any transportation costs of regular meetings to and from retreats, parking and incidentals. The total cost is £2,800 if paid in full the fee is reduced by £100 if paid in full. On acceptance to the course the registration fee and a non -refundable deposit are required a total of £1000.00 by 22nd April 2017 there after monthly payments of £ 100.00 can be paid from May 19th 2017 and Final payment December 7th 2018. Reserving the right to refuse a place to students who have not paid their deposit by the required date. Applicants will be taken on a first come first serve basis and students who have paid their deposit will have priority over those who haven’t . Death of spouse or family member or Sickness – Doctor’s sick note needed for proof of sickness. If for these reasons you are unable to continue the course and you have paid in full you can apply for a refund of £70 per session that you will miss or you can be credited to do another course. The cancellation of the course needs to be done in writing including the necessary evidence to Michelle Cheesbrough, Senior Yoga Teacher at Yoga Glow Studio , 4 the walk, Beccles ,NR349AJ. Course leaders reserve the right to cancel the course at any point in writing under the same conditions as set in refund policy , reimbursing £70 per session not completed or crediting the course to be completed at a later date.